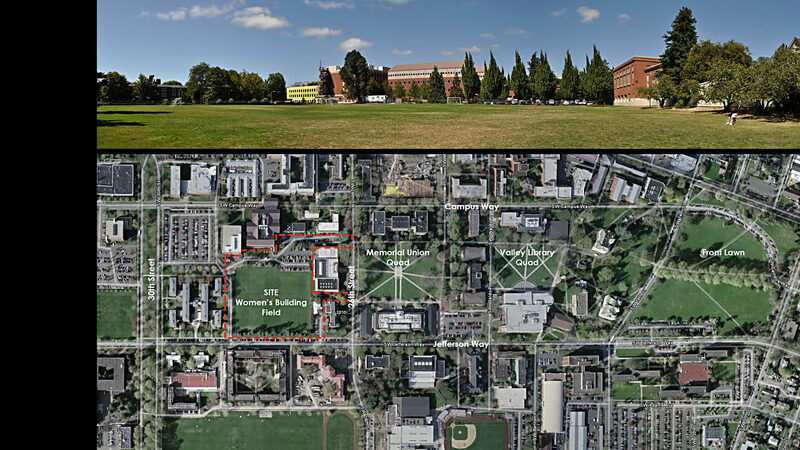 OFFICE 52 provided Oregon State University with an overall planning vision for a new quadrangle on the west side of their historic campus core. Situated adjacent to the Memorial Union Quad, this new open space will occupy approximately 7.5 acres that includes the existing open space called the Women’s Field. 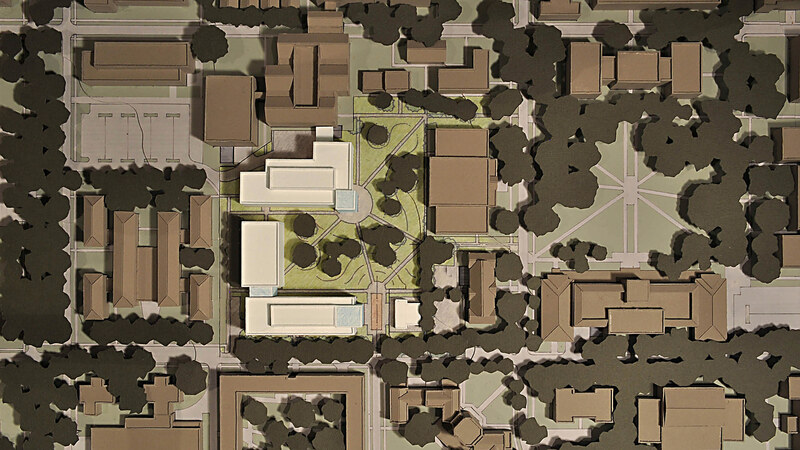 The plan for this new quad extends a language of signature open spaces and buildings that begins at the front of the campus and moves west with several iconic spaces that were part of the Olmsted brothers original 1909 plan for the campus. This study establishes the site strategy for three buildings that encompass over 300,000 SF of new construction in a phased development. 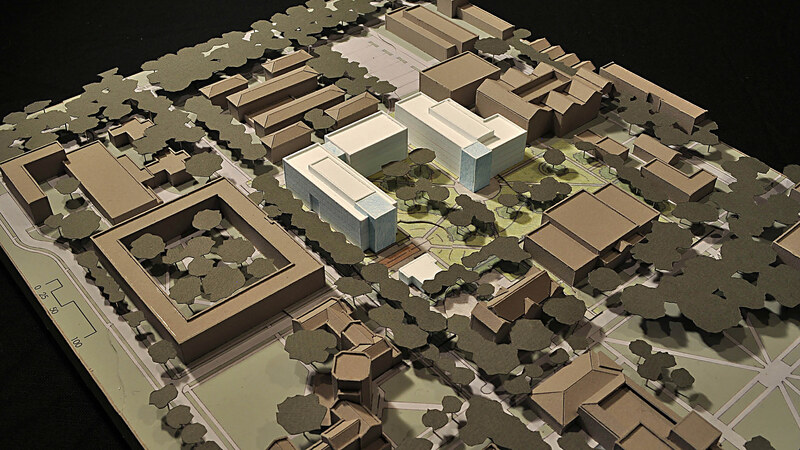 These include the new Austin Hall for the College of Business, the Asian & Pacific Cultural Center, and a future engineering or classroom building. Some consideration of a future expansion of Austin Hall was also included in the study. 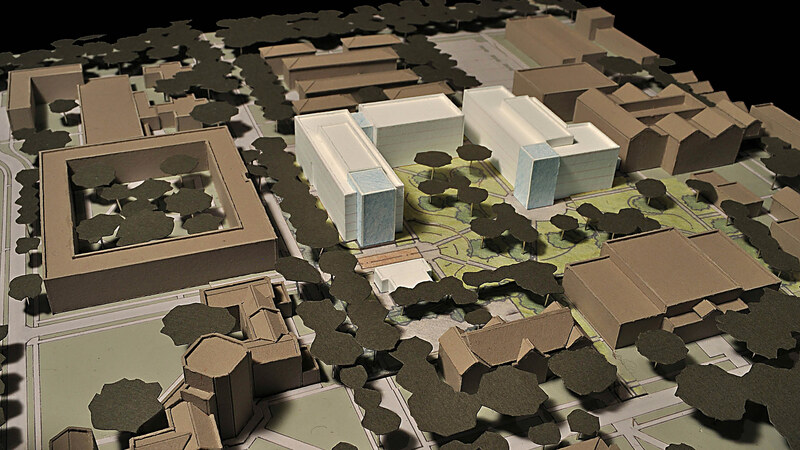 The goals for this plan included the development an overall conceptual approach to the buildings and the open space of the quad. OFFICE 52 explored a series of planning options through rigorous graphic analysis and physical model studies. 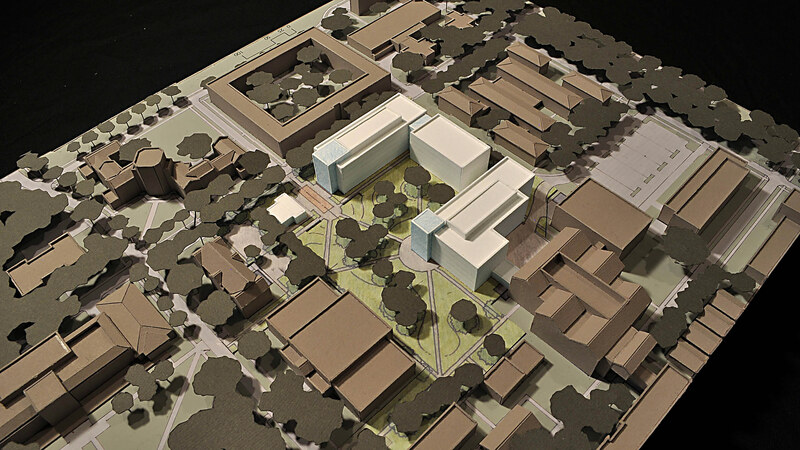 The goal was to create a unique composition of open space and buildings that would integrate successfully into the campus, reflect the culture of the University, and connect to the institution’s broader environment. The plan included investigations of circulation and service, massing and carrying capacity, orientation and visibility, environmental issues, and sustainable planning strategies, as well as preliminary phasing and implementation studies.